Happy Tuesday! In about a week it will finally be spring! I hope those of you on daylight saving time are enjoying the extra daylight! This week I am just showing cover pages due to time. 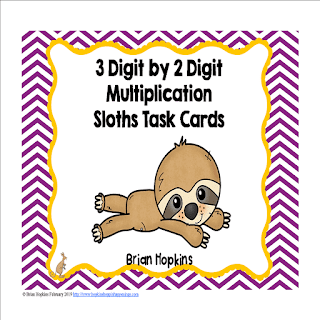 Last week in tutoring, I helped the 3rd grader first with practicing multiplying 3 digits by 2 digits using my Sloths 3 Digits by 2 Digits Multiplication Task Cards. Yes, 3rd grade can you believe that? She did a pretty good job with it. 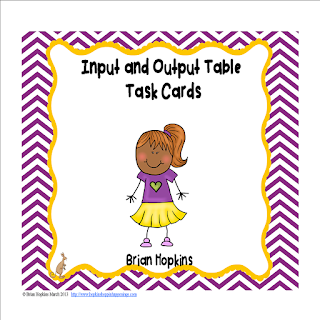 There are 24 task cards in color and black and white, a recording sheet, and an answer key! 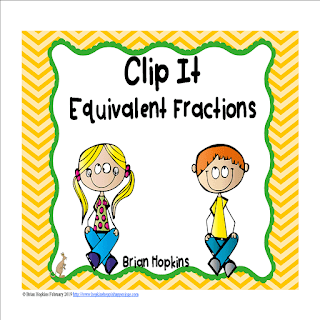 Next we worked a little more on equivalent fractions using my Clip It Equivalent Fractions. She did a little better than the previous week. She seemed to be starting to grasp how to find an equivalent fraction. I will keep working with her on this skill. 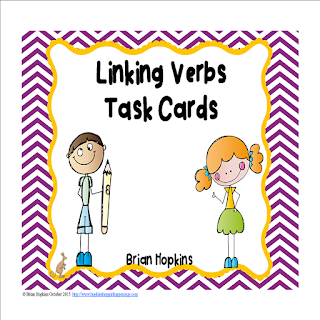 There are 24 task cards in black and white, a recording sheet, and answer key. 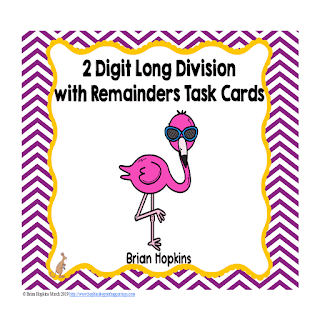 We finished tutoring working on 2 digit long division using my Flamingos 2 Digit Long Division Task Cards. She had to divide 4 digits by 2 digits. She also checked her answers with multiplication. She did much better multiplying this time and did excellent dividing. She said she wasn't sure how to add the remainders so I showed her that and then she did terrific! 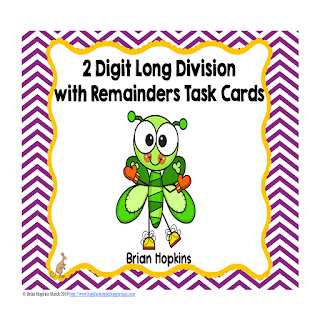 These also come with 24 task cards in color and black and white. A recording sheet and answer key are also included. Happy Tuesday! I didn't tutor a couple of weeks ago due to the child having cheerleading clinic at her school. So I was back to tutoring last Wednesday. Wait until you see what she was learning in the 3rd grade! When I got there she first showed me what she was just taught and that was long division dividing 4 digits by 2 digits. Example 6045\20. I can't type the long division on here, but you get the picture. That's a 5th grade skill. Well, I worked with her on a 6th grade skill. She was learning the mean of 3 digit and 5 digit numbers in school. They simply call it averaging, but it is the same thing. It is amazing to me how much advanced they are in private school than in public school. She doesn't do the Common Core craziness so I think it makes it easier for her. We worked on my Finding the Mean Task Cards. In the example, you see I wrote average on each card. The same set of cards with the word mean are also included! She miss added on a couple, but her long division was fantastic! 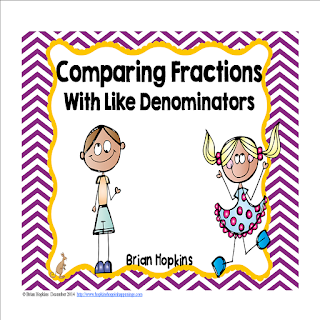 Next we worked on equivalent fractions using my Clip It Equivalent Fractions. She struggled some on that and part of the reason is that she was never taught how to reduce fractions so I plan to keep working with her on that. 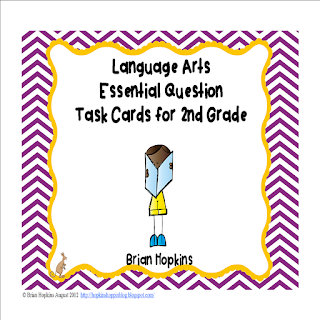 There are 24 task card, a recording sheet, and answer key. Tick tock, it's time for the TPT 1st quarter sale! 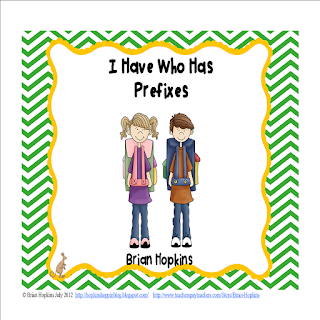 You can save 25% off all my products in my Teachers Pay Teachers store by using the code TICKTOCK at checkout on February 26th and 27th, 2019. I have set all my products on sale for 20% off and the code will give you another 5% off. My bundles, which are already heavily discounted by 20 to 30% will also be on sale making those up to 55% off! You can't beat that! All stores will NOT have their stores on sale so you will be saving up to 25% off in their stores. 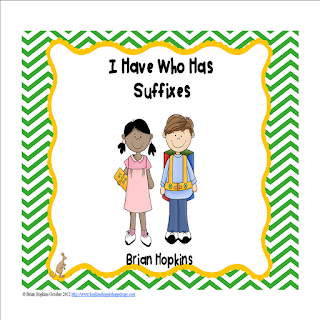 Be sure to check out my St. Patrick's Day, Easter, Spring, Multiplication, Division, Fractions, Addition and Subtraction, Sight Words, brand new resources, and best sellers! I also have Clip Its, Word Boxes, Interactive Student Notebooks for Kindergarten, Write The Room, and I Have, Who Has Games. Thank you for hoppin by Hopkins' Hoppin' Happenings! Keep on smiling! Happy Tuesday! No tutoring the week before due to the family being sick so that is why there was no blog post. I was back to tutoring last Wednesday though! I hope each of you had a great Valentine's Day! Valentine's Day is over, but your students still make like these fun themes and kids love hearts anyway! We started off tutoring working on finding the whole number with a reminder of a fraction using my Fractions of a Whole Number with Remainders. These in black and white and come with a recording sheet and answer key so you can use them as you wish! After missing one she did an excellent job and didn't miss any more! We then worked on finding the missing factor in multiplication equations using my Valentine's Day Llamas Missing Number Equations. These are in color only and come with a recording sheet, answer key, and an optional game board. Land on a Llama and the student gets to go again! She didn't miss any! 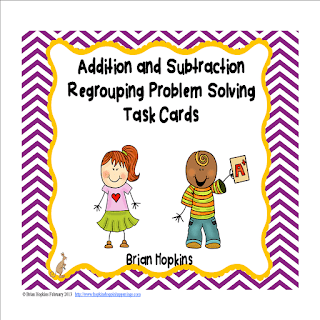 We finished tutoring working on adding and subtracting 3 fractions with like denominators using my Valentine Superheroes Adding and Subtracting Fractions Task Cards. She did an incredible job soaring through these! We also worked on a couple of partial multiplication and addition charts that she was able to do in less than 3 minutes. Happy New Year 2019 Top 10 $1.50 Sale! Happy New Year! I hope it is the best year yet for you, your own children, and students! I am once again placing my top 10 TPT products on sale January 1st and 2nd, 2019 for only a Dollar! 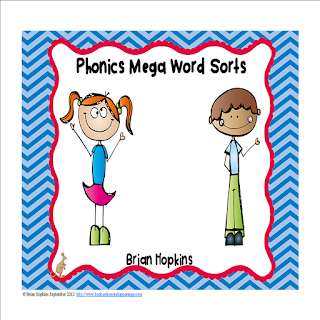 You can grab them in my Teachers Pay Teachers Store. Who can beat products for a buck that typically cost $2 to $6? My top 10 products are the same as last year except for one that entered in at 10th best, but several have changed in the order. 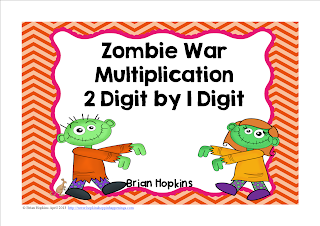 Zombie War Multiplication 2 Digit by 1 Digit is my biggest climber jumping up to 6th best seller from 9! 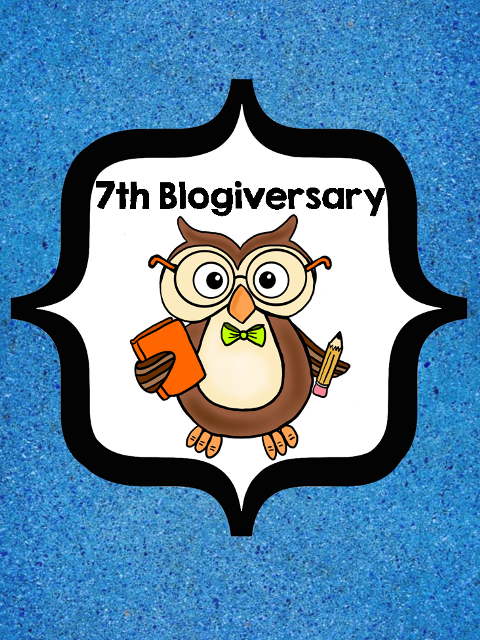 My blog has officially turned 7 years old!!! WOW! 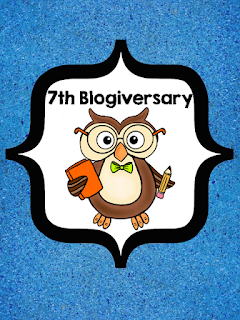 7 wonderful years. I am setting all my products on sale for 20% off through the 30th to celebrate! 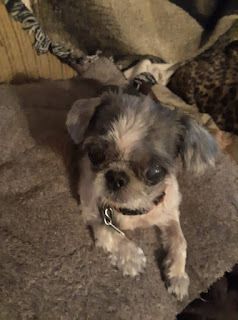 Follow me and check out my store here. I now have 1,763 followers on Teachers Pay Teachers, 2,573 on Facebook, 320 on Instagram, 15,308 on Pinterest, and 287 on Twitter! I appreciate each of you who have followed, liked, downloaded freebies, purchased resources, or interacted with me on my pages. Thank you! I look forward to another fun year! Thank you for hopping by Hopkins' Hoppin' Happenings! Keep on smiling! I hope everyone had a great Christmas! I meant to share my tutoring fun a little before Christmas, but got too busy. So I will share it the day after, even though it is now Wednesday. I tutor actually on Wednesdays, but share the week after. There will be no tutoring the next two weeks, but I do have some fun things for you including my most popular products for only $1.50! Stay tuned for that date. It will be soon! This week I started working with her on very basic order of operations by learning to use the parentheses first. We used my new Ornaments Order of Operations Race, which you can currently only get in my VIP Facebook group. It is a FREE download!!! Join here. There are 24 cards, a recording sheet, and answer key. 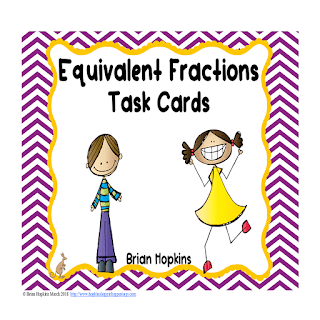 Next we worked on identifying fractions from using halves all the way to tenths using my new Clip It Identifying Fractions Task Cards. 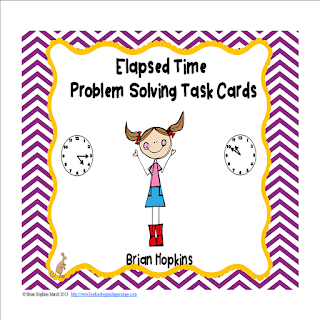 There are 24 task cards in all. There is a recording sheet and answer key. You don't have to have them clip it, you can have them just circle it if you prefer. We finished tutoring working on some PreAlgebra using my PreAlgebra Balancing Number Equations Snowballs. This comes with a game board, recording sheet, and answer key. There are 24 cards in all. You can use them like traditional task cards and skip the game board if you prefer.